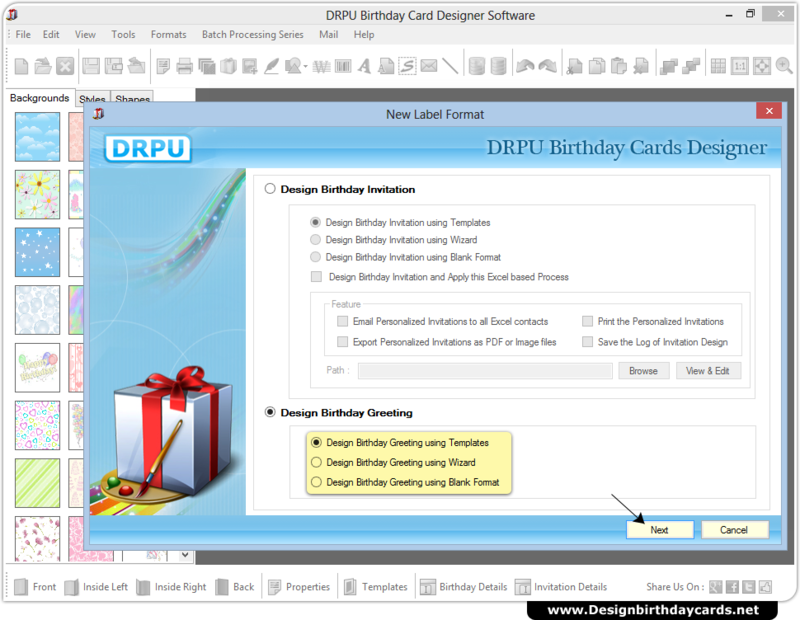 Select option to design birthday card using New Label Format. 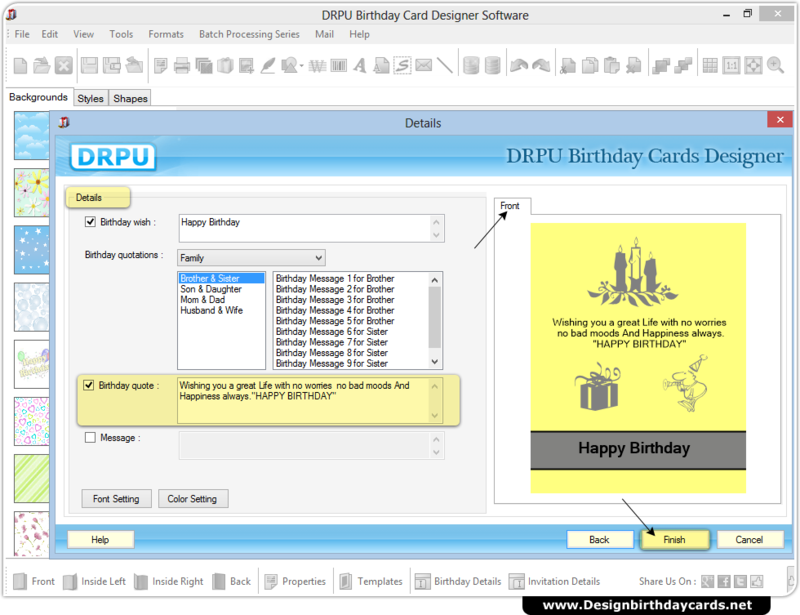 Here, Design Birthday Greeting using templates option is selected. 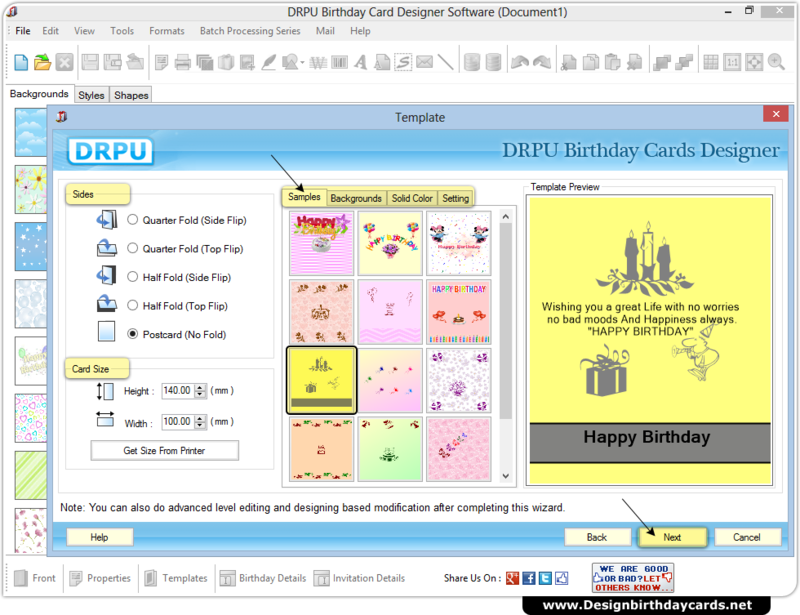 Specify numbers of fold, card size and select template to be used then go to “Next” screen. Add text like birthday wish, birthday quotations and birthday quote. 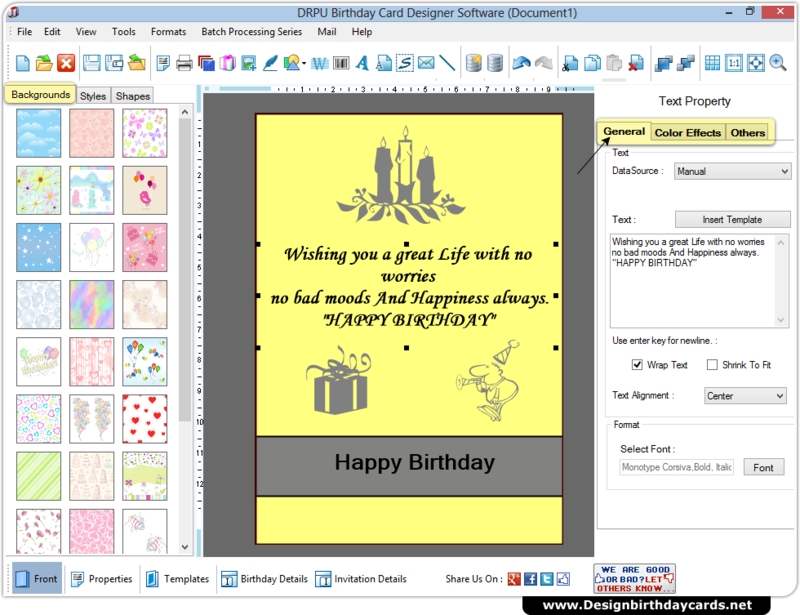 Customize your birthday card using Background, Text Property and other tools from toolbar.